Of all the museums in Vancouver, there are two that stand out for their extensive collections of unique artworks from British Columbia: the Vancouver Art Gallery in downtown Vancouver, which is home to 9,000 works of art, including the largest and most significant collection of paintings by the famous BC artist Emily Carr; and University of British Columbia's (UBC) Museum of Anthropology (MOA), which is home to more than 500,000 cultural artifacts, including an immense collection of BC First Nations art and objects. Though UBC's Museum of Anthropology does house ethnographic and archaeological objects from around the world—including Africa and South America—it's the focus on First Nations objects originating from the Northwest coast of British Columbia that make this museum a must-see for both Vancouver locals and tourists alike. In the Museum's Great Hall, visitors will be amazed at the massive First Nation totem poles, canoes, and feast dishes, while other magnificent pieces, including jewelry, ceramics, carved boxes, and ceremonial masks are displayed in additional galleries. One major highlight of the Museum's First Nations collections is the iconic sculpture Raven and The First Men by the internationally famous BC First Nations artist Bill Reid. A picture of the Raven and The First Men sculpture appears on the back of every Canadian $20 bill. The UBC Museum of Anthropology is located on the University of British Columbia's Vancouver campus, at 6393 N.W. Marine Drive. For drivers, there is a paid parking lot located just across the street from the Museum. Public transit is a better option since buses to the UBC campus are plentiful. Founded in 1949, UBC's Museum of Anthropology has grown into the largest teaching museum in Canada. Its current facility—a gorgeous building that includes tall glass walls in the Great Hall—was designed in 1976 by renowned Canadian architect Arthur Erickson. He based his award-winning design on traditional northern Northwest Coast post-and-beam structures. A new wing was added in 1990 to house a resource library, teaching laboratory, office, and the Koerner European Ceramics Gallery, which is home to 600 European ceramic pieces collected and donated by the late Dr. Walter Koerner (who also has a UBC library named after him). First-time visitors to MOA will want to give themselves at least three hours to visit the Museum. 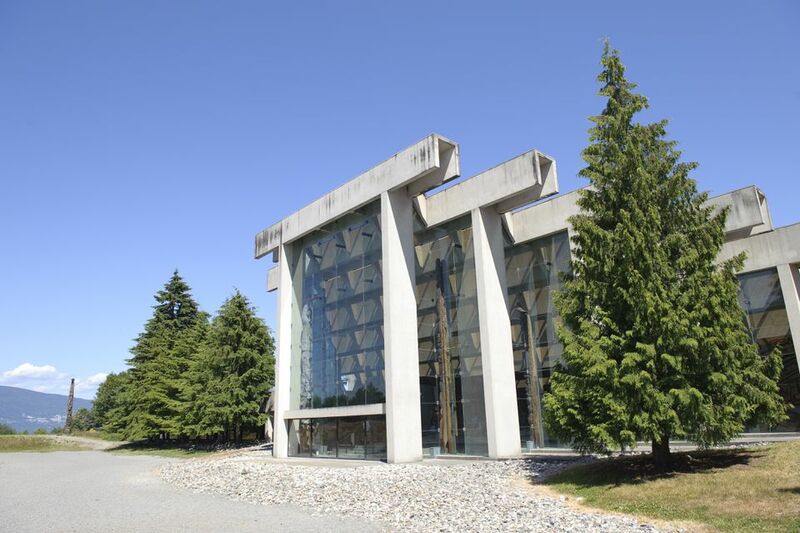 To make a day of it, visitors can combine a trip to UBC's Museum of Anthropology with a campus tour of UBC. They can visit UBC's Botanical Gardens or with a trip to nearby Wreck Beach, Vancouver's famous clothing-optional beach. You can also check out the other top attractions at the UBC.